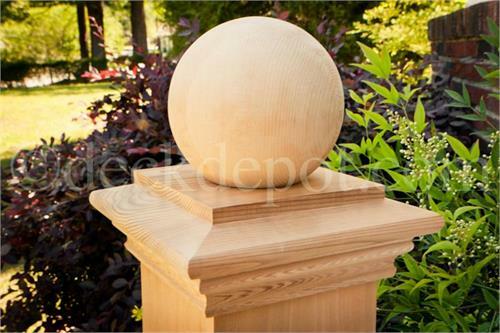 Home > POST CAPS > Wood & Metal Ball-Top Post Caps > Nantucket Cedar Great Point Ball Cap 6" x 6"
Select Size 5 1/2" x 5 1/2" (Standard 6") 6 1/8" x 6 1/8" (Full 6") 6-5/8" x 6-5/8"
Nantucket Great Point slip-over caps are available in high quality western red cedar. 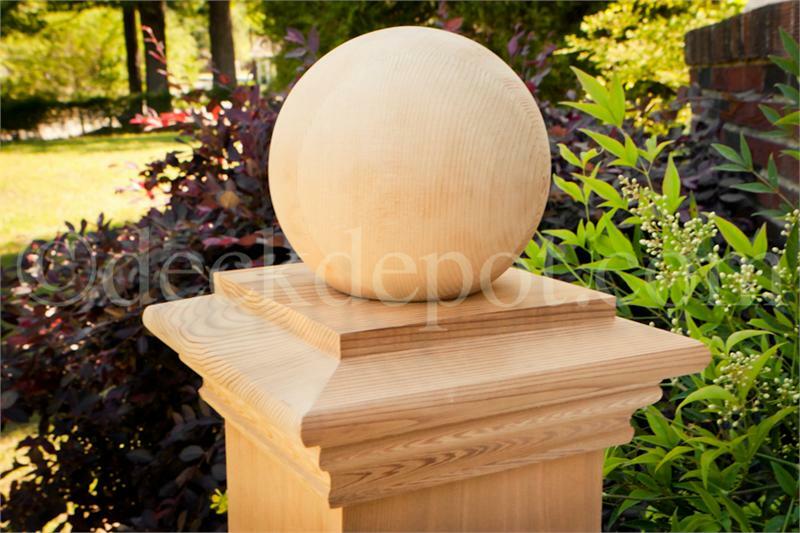 Available in 2 different sizes for both a standard and full 6" posts (5 1/2" - 6 1/8"). All Great Point post cap sizes have an inside pocket depth of 1 1/2". MADE IN THE U.S.A. All Nantucket items ship out via UPS Ground within 48 hrs or less.